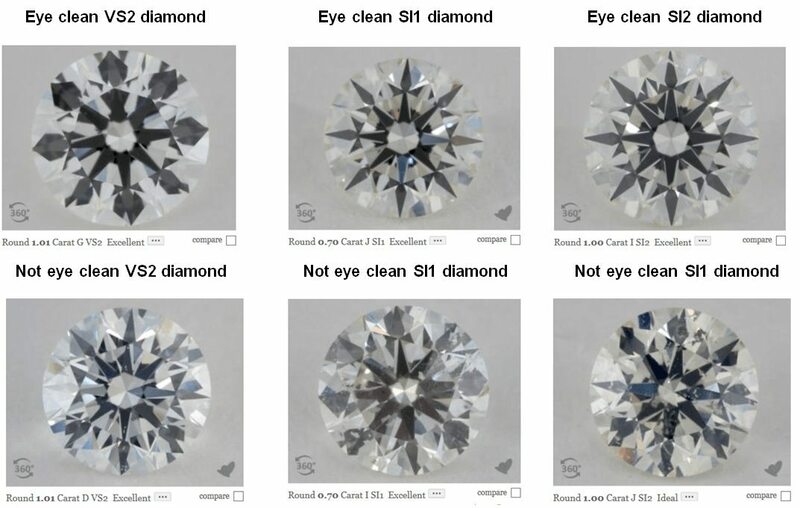 Diamond Clarity Chart Comparison - See Real Life Examples! It’s surprising how the most emotional purchase, i.e., the engagement ring, is defined by technical terms that can be overwhelming at first. When all you want is the brightest, prettiest diamond, but you’re bombarded with labels such as VS1, SI2, Triple Excellent, and No Fluorescence, I won’t blame you if you give your money right away! 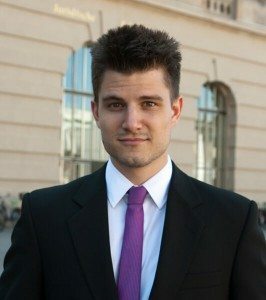 It sounds so professional, it must be legit, right? But you don’t have to be an expert to learn these labels. Chances are, you’re here now because you’ve already started delving deeper. 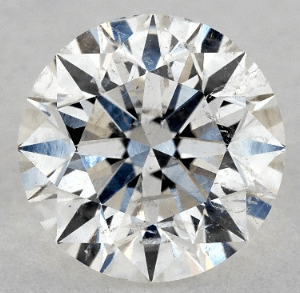 Knowing of the clarity grades is one thing, but seeing the difference in different carat sizes, colors, and shapes is a whole new level of diamond knowledge. A generalized clarity grading won’t give you much information. So in this post, we are going to compare clarity grades using a tool that can let you see beneath the surface. What will you get out of this aside from a better understanding? Probably the biggest bang for your buck! 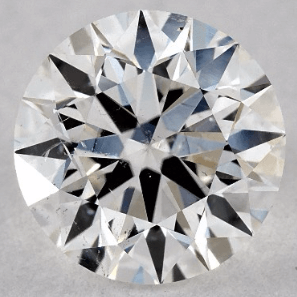 Virtually all diamonds have flaws that can't be seen by the naked eye. 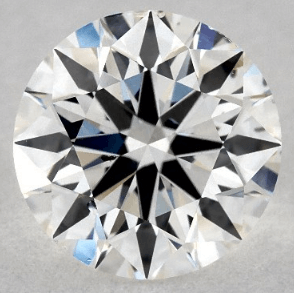 These imperfections are called inclusions (internal) or blemishes (seen on diamond polish). Read more about inclusion types here! Some are severe while some are microscopic, so to better rank these flaws, GIA grades diamonds with their 11-point diamond clarity scale. It depicts the size, number, color, and position of flaws that a skilled grader can make out under 10x magnification. Now, take note that two diamonds can have similar-looking plots, but their clarity grades can be very different. For example, a SI2 diamond may show only a few clarity marks, but the severity can only be seen in its photograph. Also, a diamond plot can possess a lot of markings, but it could only be white feather inclusions that aren’t visible to the naked eye. 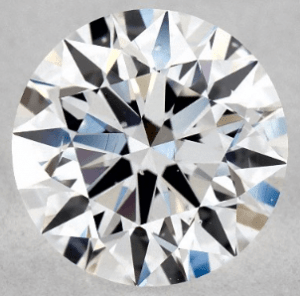 Since the color of inclusion is not taken into consideration, it is, therefore, of paramount importance to have a real look at your diamond before buying it! As I have explained in my post about diamond clarity, you always want to make sure to have an eye-clean diamond. This means that you cannot detect any flaws with your bare eyes! If there are flaws inside a diamond that can only be seen with a 10x magnification loupe, it doesn’t matter. Unless of course, you want to buy an internally flawless (IF) diamond for idealistic reasons which is perfectly fine. In fact, clarity grades of IF, VVS1, VVS2, and VS1 will ALWAYS be eye-clean! At least for me, I could never make out an inclusion with my bare eyes in such diamonds! Just make sure that it’s graded by either GIA or AGS. 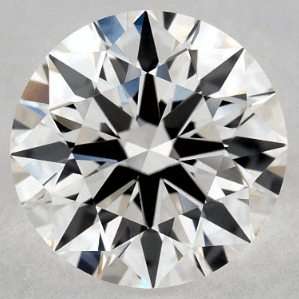 Most online diamond shops restrict their diamonds from IF to I3 clarity grades as FL diamonds are too rare and considered as overkill by the average consumer. While I2 and I3 are just never eye clean. IF stones make up less than 1% of the world’s gem quality diamonds. It’s free of any inclusions under 10x magnification and is the priciest grade. 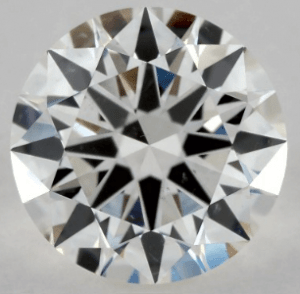 I1 diamonds, on the other hand, display obvious inclusions under 10x magnification that affect brilliance and transparency. Even though most I1 diamonds are not eye clean, you can still find eye clean stones if you really take time searching. 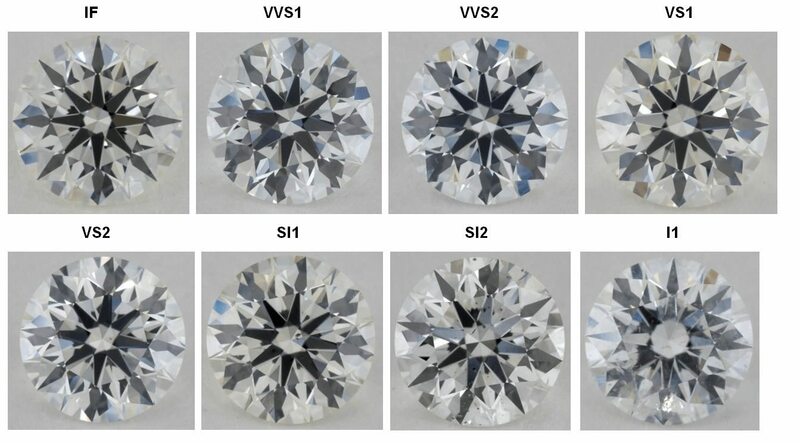 Judging from the samples above, VVS1 and VVS2 diamonds are hardly distinguishable. Inclusions are so difficult to see that only a trained gemologist can detect under a 10x loupe. The difference between the two clarity grades lies in the position of the inclusions. If flaws are seen from the pavilion side, it’s then labeled as VVS1. If it’s seen in the top half of the diamond, then it’s a VVS2. The clarity grades above possess what we call “microscopic benefits” as the difference can only be seen under a loupe. 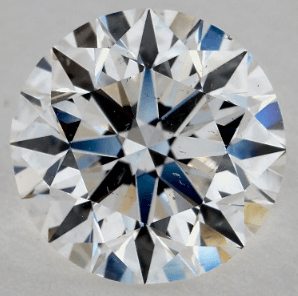 Investors and purist would opt for these grades for idealistic reasons, but you might want to consider a lower grade where you can find eye clean diamonds looking like higher grades and save money. With VS1, you can be sure that diamonds are always eye clean. You’ll only see tiny white inclusions when viewing under a loupe. And although VS2 diamonds display noticeable inclusions under 10x magnification, you still wouldn’t see the flaws with your bare eyes. 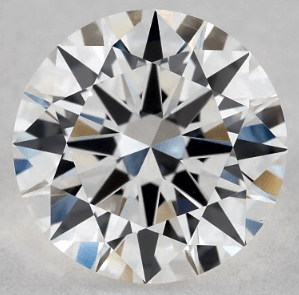 SI1 diamonds contain inclusions under 10x magnification, but such flaws may or may not be visible to your naked eye. The example above bears hazy white inclusions seen under 20x magnification, but if you move the zoom to 2x, the diamond will look eye clean! On the other hand, SI2 stones have inclusions that are easily seen under a 10x loupe and sometimes with bare eyes. It displays bigger, more obvious flaws, and dark inclusions as well. Although, you can still spot eye clean diamonds in this grade if you dig deeper. You see, the diamond’s clarity features intensify as it gets bigger. 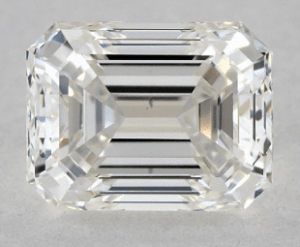 So this 3-carat diamond exposes more flaws than the 0.90 diamond even if both stones have the same clarity grade. Because of this, I would recommend opting for a higher grade preferably VS2 and beyond when it comes to bigger diamonds. Another factor that blows a typical clarity grade out of the water is shapes. Since other diamond shapes, apart from the round cut, bear a different makeup, flaws tend to be more visible. Just have a look at this round cut and emerald cut. Both are VS2 which is considered a sure-win grade, but the fancy-shaped diamond still showed some flaws. Then again, you would need to pick a higher clarity grade, unless you‘ll take time finding an eye clean VS2 emerald stone. Clarity and color go hand in hand as they both contribute to the visual appeal of the diamond. In this example, the white inclusions on the right diamond are highlighted because of the K color’s yellow tint. 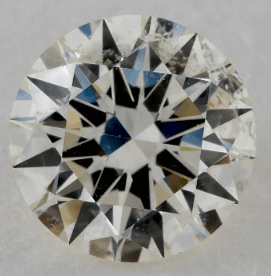 While the D colored diamond on the left, despite showing white inclusions, remains eye clean as the flaws aren’t too noticeable given its icy-white color. Now, to get the biggest bang for your buck, I always recommend choosing clarity grades of VS2, SI1, and SI2. All these grades can be eye clean depending on the kind of inclusion the diamond has. As you can see, the diamonds begin to have visible inclusions from VS2 onwards. The VS2 diamond has a very tiny inclusion in the center, and from there, it gets worse and worse. 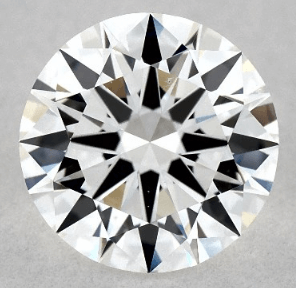 The inclusions in the I1 diamond are hazy white, and are not as stark as the dark flaws on the other diamonds. However, gemologists don't usually take the color into consideration but rather the size. That’s why we call VS2, SI1, and SI2 clarity graded diamonds the magical zone. It is the sweet spot where you can find eye clean diamonds and save yourself a considerable amount of money! And in order to do so, you will have to look at your diamonds very carefully. In fact, I think it’s a bad idea to buy a diamond without having seen it whether you buy it online or at a brick and mortar store. Especially with clarity grades between VS2 – SI2, this would be quite a gamble! With diamond clarity, there’s only one thing you need to take to heart: find eye clean diamonds in the magical zone, and you will surely save money. 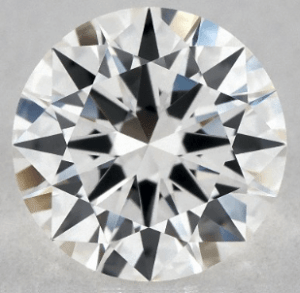 Diamond Clarity What’s the Best Engagement Ring Metal in Comparison? 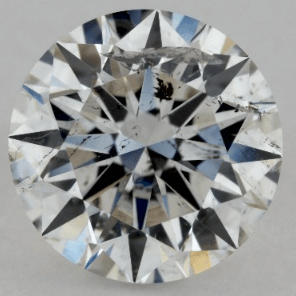 SI2 Clarity – Are There Eye Clean Diamonds in This Grade? 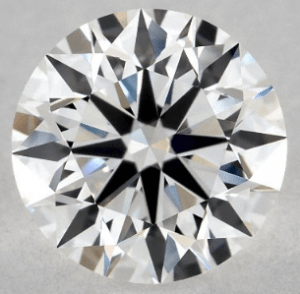 VS1 Clarity – The Flawless-Diamond Alternative!